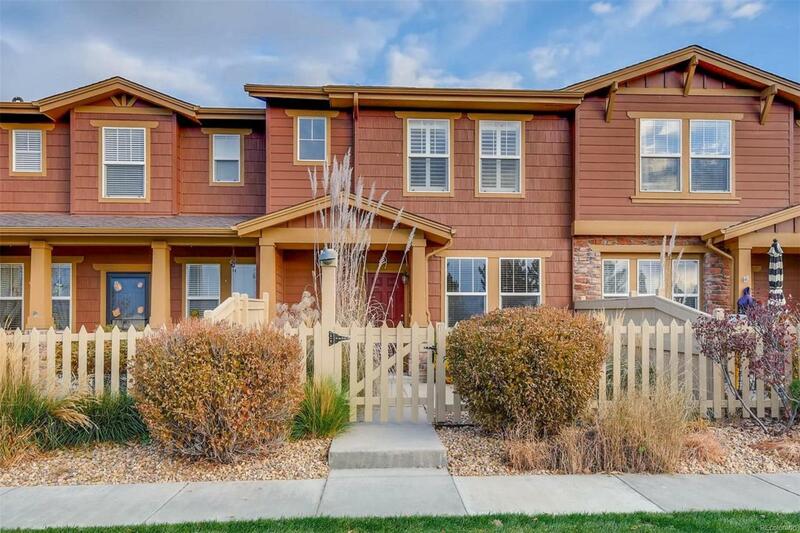 This former model home is clean and ready to move in! Open main floor has great views west of Rocky Mountains and lake. 3 bedrooms upstairs including an office nook alow for plenty of living space. Full two car garage provide plenty of room to store your cars and toys. A wonderful community! Offered by Bluespruce Group, Llc. Association Name Primary Parkside At Reunion Condominiums Inc.